Sandri Plumbing serves Franklin County with professional plumbing service. Our team of experienced, licensed plumbers and service technicians are available to install new water heaters, replace hardware, fix dripping pipes, and so much more. Whether you have a pesky drain clog or a full-blown plumbing emergency, Sandri Plumbing is always here to help. 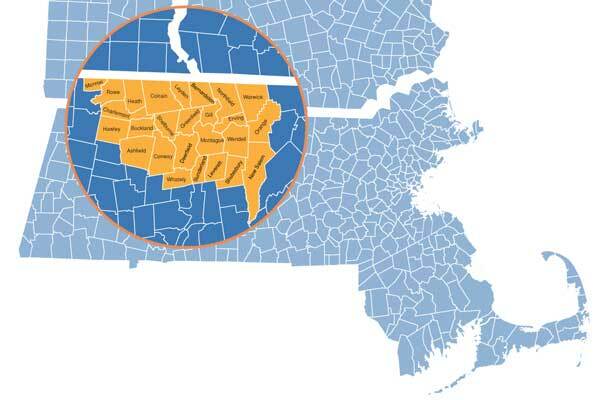 Sandri Plumbing is pleased to serve towns in Franklin County in Western Massachusetts.